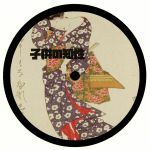 Review: Following fine outings from Bigneric and Dark Matrix last year, Childhood Intelligence sets out its stall for 2018 via a fine, compilation style EP. Fernando the Lobster steps up first, wrapping rich deep house keys and starry electronics around a deep electro groove, before Bigneric's "Ukrel" delivers a dose of deep tech-house goodness. 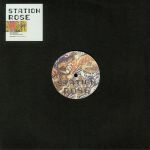 Over on side B, Derek Carr unfurls spacey chords and analogue sounding drums on the quietly hypnotic "Ceres Station", while Cozmic Jazzz Futurist pitches down the beats on a deep, jazzy and almost horizontal late night soundscape. A strong start to the year, all told.